Top your window with a cornice made of wood or upholstered with fabric that’s a perfect match for your decor. A cornice is a type of valance, though instead of being made of fabric, it’s typically made of wood. They can be painted or carved, or upholstered with fabric. Depending on the structure, they can look tropical (carved wood), country (painted) or traditional, modern or contemporary (upholstered). 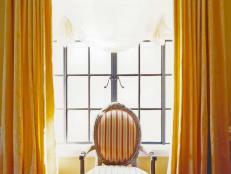 Cornices let you hide unsightly window hardware, like the top of a shade or a curtain rod. They’re mounted with brackets that can be purchased separately or as part of a cornice mounting kit. Mounting a cornice is simple, though it requires you to be accurate when measuring, since the straight edges will make any errors visible. 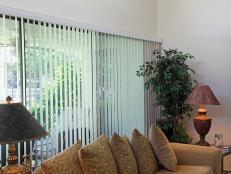 Cornices are window treatments that come in a variety of shapes. 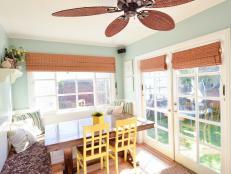 The simplest is a rectangular board, which can be painted or covered with fabric. An arched cornice is another simple shape, which adds a little more visual interest. These cornices can be used alone or with other treatments. More decorative shapes include scallops, steps, and raised tops. Cornices this elaborate are typically not a standalone treatment, and are used with other window treatments, such as curtains or drapes. 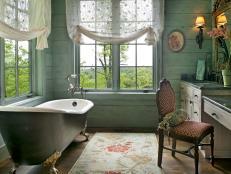 Painted wood cornices give a room an elegant look, especially when they blend into the crown molding or window frame. Typically painted the same color as the trim (though a contrasting color can work when done right), they can appear more casual in country or beach decor and more formal in a traditional room. Carved wood cornices can be simple or elaborate. Used as far back as Ancient Greece, they decorated the outside of buildings, holding up columns or roofs. In the 1800s, wooden cornices moved indoors, and were used to mask curtain hardware. They were intricately carved and often looked like crowns. This type of cornice is still available, alongside more modern designs with less adornment. Decorative carved wood cornices also come in a tropical wood like teak and make you feel like you’ve been whisked to an island. Used in a room with Asian-inspired furnishings or fabrics, they can anchor the decor. 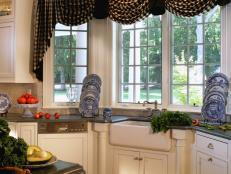 Many cornice kits are available, and they’re typically based on window width. They come with the cornice, hardware and assembly instructions. This hybrid DIY lets you attain a custom look without the custom price. For more adventurous DIYers, building and installing a cornice box takes a few hours time and a little carpentry know-how. With some basic tools, lumber and fabric, you can get a custom look in as little as an afternoon. 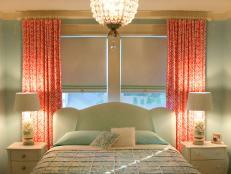 Whether you’d like to hide curtain hardware or enhance a beautiful drape, consider a cornice. They’ll add a custom, high-end look to any room. 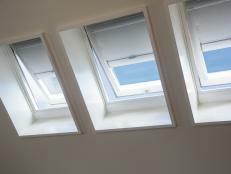 Skylight shades, whether for homes or RVs, let you sleep peacefully even during the day. Drapes are one of the interior designer’s best weapons, bringing formality to a room, while also adding privacy and controlling light. 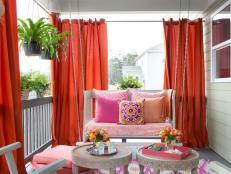 Dress up a porch or patio with outdoor curtains, shades or blinds – they look striking and keep the sun (and neighbors) out of view, too.